Erica Bunker | DIY Style! The Art of Cultivating a Stylish Wardrobe: What I'm Wearing | Baby, it's cold outside: Cape + Cargos! 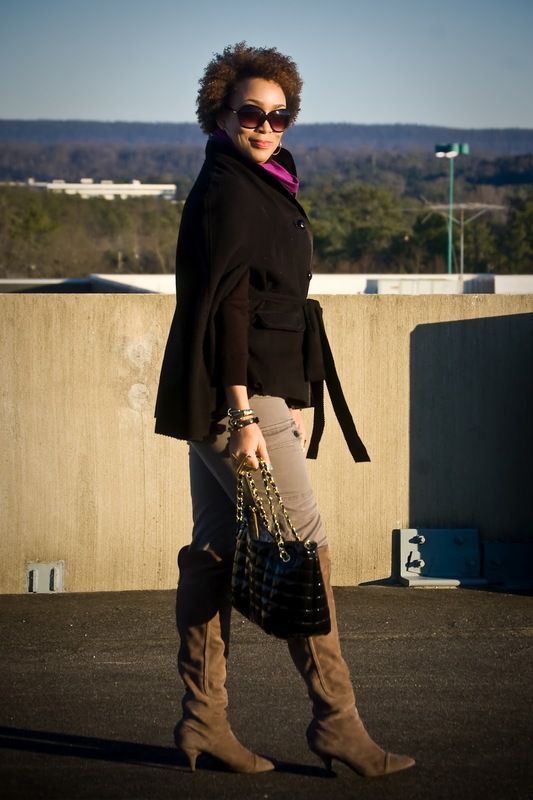 What I'm Wearing | Baby, it's cold outside: Cape + Cargos! The crazy weather went from allowing me to be bare-legged, to putting back on the outerwear and over-the-knee boots. It was cold, windy and 35 degrees today! My husband is always such a trooper when it comes to being my great photographer. He stood in the cold and wind, taking pictures of me! He's such a great guy! 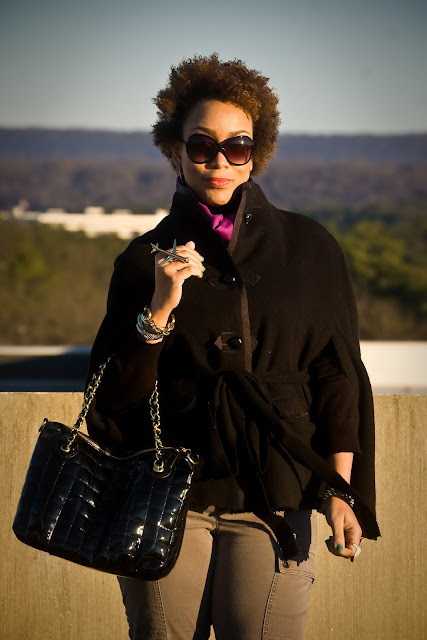 This cape has become one of my favorite outerwear pieces this season. If I must wear a coat, I'd rather grab this! The proportions on this outfit are great. A cape is actually pretty practical if you are wearing full sleeves of any sort, which have been popular lately. Love that cape! The entire outfit is spot on. Super looking...and your hair is so awesome! Karin, I'd probably rather reach for a cape than a coat. Thanks! Love the tribute to Whitney Houston. And the cape is awesome! !Love the curly hair too!! Babysis9, please link when you get your blog up! Thanks! Nice pictures. Love the ring. OMG! I've always been a lurker, but today I am compelled to post! I LOVE this outfit! All of your outfits are great actually. And that ring is hot!